just don’t leave [humour? eh no?!] the trees in there with the print-out?!! any other queries just hollar! Peter – I live in the UK so the rule may be different to Ireland. My house is surrounded by huge trees which are listed. They nice but overpower my house and to say that I spend most of my time picking up leaves is an understatement. Shouldn’t the council (or someone from local government) be obliged to trim them? I remember they once said they need at least 6 before they can come out – there’s at least that many within a 50 yard radius to my house. Lastly, my next door neighbour had a huge tree which had huge branches coming onto my side – who’s responsible for cutting that back? I did work in the UK on two occasions and UK/ Ireland are fairly similar. The rules are pretty much logic but can become mildly ‘grey’ when it comes to listed trees. The biggest problem is the wannabe tree huggers. To explain the councils are fully aware that as soon as a chainsaw starts – even if the tree is necrotic [ill but past the point of salvation] – the phones will start hopping and as needing to be [re]elected dont want to upset the mass populus. I had similar siatuation when I was employed by a dublin university when over the grounds. To answer, your life cannot be interfered with by any human or tree [thats the grey area and greyer is proving it, sometimes]. 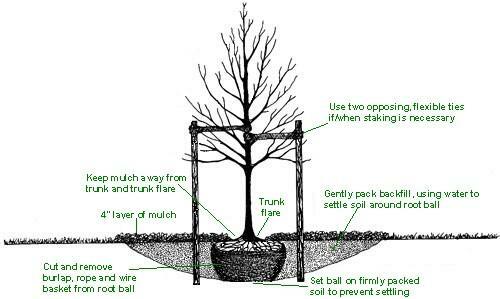 That said, it is perfectly alright to maintain any tree with/out a TPO to the trees benefit – every tree needs maintenance. A TPO [tree preservation order UK] prevents its felling only. It may mean a tree report is required to convince the council. On TPO’s the council should/ will have reports done every 2 /3 years so you can see how well they’re doing and what is/not being done. Your council should be able to help you here. Regarding your neighbour – you are entitled to cut back any branches that overhang your garden by law – but – you must give the branches back or it is considered theft! depending on your relationship take photos and use a pro. I hope that helps you – if it is slightly baffling just hollar for clarification. Happy Sunday and thanks for everything! ps I’ll pop over if Aido sorts out the email thing, darned sharks?!! Ok I’ll sort it out after I’ve finished picking up all them leaves in my garden! your garden has no deciduous trees?!!! is that just bad planning by fingal county council & the parks department?!!! or the joys of married life??!? tree planting – what, when, how – now a sense of humour or too long in the garden?